This Los Angeles acting school’s philosophy is that an exciting generation of new artists can draw upon all different cutting edge acting techniques and form a toolbox of their own, their very own Golden Box. SUBSCRIBE FOR A FREE VIDEO, TEACHINGS, EVENTS AND MORE! Learn why The Michelle Danner Acting Studio is one of Los Angeles’ best acting schools. Organize your calendar and see which acting classes best suit you! Our school provides several opportunities for our actors. Choosing an acting school or acting technique that is right for you can be challenging and overwhelming. Which acting technique is the best? Depending on the material you are given, different techniques can be used to create the life of the character. All the techniques work, it’s knowing when to use them that makes you a great actor. Each acting technique (Stella Adler, The Sanford Meisner, Lee Strasberg, Uta Hagen, Chekhov, & the Stanislavsky Technique, all of which Michelle Danner has extensive experience with) has its strengths and weaknesses. The Michelle Danner Acting School recognizes that every actor is unique. We help students to develop their own “Golden Box” of techniques and tools that they can use at any time. The Acting School’s acting techniques are based on the Meisner Technique, Lee Strasberg’s Method, Stella Adler, Stanislavski’s System, and the Chekhov technique. Our performing art school provide’s a safe and pro-active environment that fosters creativity in our students. Our students are encouraged to take risks and work on challenging and daring material that will stretch them as actors and push them beyond their limits. You will be taught by one of the most-well respected and in demand acting coaches in Hollywood. Michelle Danner has worked for years privately, and on set with some of Hollywood’s biggest stars. Our faculty of acting teachers have graduated from some of the most prestigious programs in the world, including Yale, NYU, and Juliard, and they are currently working as actors, and directors. The Michelle Danner Acting School not only provides world class training; our students have the opportunity to audition for parts in Michelle Danner’s latest movies, audition for the various theater productions, and participate in our yearly film festival. These projects give students the chance to build their resumes and IMDB credits, through practical training. All In Films is an independent film production company. At the helm are Michelle Danner, Alexandra Guarnieri, and Brian Drillinger. 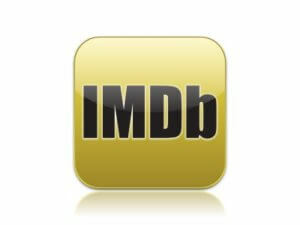 The mission of All In Films is to produce high-quality, independent movies geared to entertain & spark social commentary. Check out the website at www.allinfilms.com. Through the improvisational classes students have the opportunity to be part of the latest Web Series“Uncensored Hollywood” & gain IMDB credit as well as add professional reel footage. Michelle Danner, who is the leading acting coach and director of the studio, is a renowned actor, director, and an acclaimed acting coach. She has worked with many A-List Actors privately as well as on set. She directed Hello Herman, starring Norman Reedus from the Walking Dead. The film opened nationwide and was distributed by Warner Brothers. It premiered at the Hollywood Film Festival and won the award for Socially Relevant Film at the Monaco Charity Film Festival. We are considered one of the top acting schools in the country because of our Acting Techniques. The most in-demand and lasting acting techniques are taught, and this includes tools from the Meisner, Strasberg, Adler, Hagen, Chekhov, and Stanislavsky techniques. Students will have multiple options to select from for different ways of learning. We recommend methods that work for the individual actor and that inspire the actor to be the best that they can be..
Our faculty teaches our students to look at the craft of acting from a place that is non-dogmatic. They don’t limit students into thinking that there is only one way to find their way into a character script analysis and making choices. The faculty at the acting studio are highly trained professionals; graduates from Juilliard, NYU, Yale and working artists. To add to the drama school’s belt of achievements, A-list actors in Hollywood can attest to the quality of teachings. Michelle Danner’s roster of actors she has worked with include James Franco, Penelope Cruz, Salma Hayek, Zooey Deschanel, Chris Rock, Gerard Butler, Seth MacFarlane, Kate Del Castillo, Michael Pena, Catherine Bell, Gabrielle Union, Michelle Rodriguez, and many others. Based on Michelle Danner’s last 30 years of supporting both A-List and up and coming actors to fulfill their maximum potential, film director and international acting coach Michelle Danner has distilled the best ideas and practices of the major acting techniques, utilizing the strengths of each. But every actor is unique, so you will learn to form a toolbox of your own, your very own “Golden Box”. Through studying Michelle Danner’s acting technique you will accumulate a comprehensive set of “acting tools” to use when approaching a role or a scene, whether it be for film, television, or theater. The Michelle Danner Drama School in Los Angeles, CA enables actors to have an exciting and supportive environment to explore acting techniques and to grow creatively and professionally. Is acting your life? Is it the reason you live and breathe? Before you take the first step into the most challenging climb to the summit you could ever take, you must ask yourself such questions. Wherever you are in your acting journey, Michelle Danner’s Los Angeles Acting School provides the tools to move to the next level. Michelle’s experience in the industry as an actor and coach of Oscar winning actors, gives her a unique insight into the world of acting! The above acting classes are all necessary components to developing a strong foundation in your acting technique. Set up a free informational meeting today! Michelle Danner Los Angeles acting school is a premiere acting school in Los Angeles offering acting classes, workshops, and seminars for aspiring and professional actors. Michelle Danner’s Los Angeles Acting School has acting classes ranging from Acting for Film, Scene Study, Cold Reading, Voice and Speech and Casting director workshops. You will develop a comprehensive set of “acting tools” and form a toolbox of your own when approaching a role or a scene. You will develop a comprehensive set of acting tools and form a toolbox of your own when approaching a role or a scene. The acting school offers a wide array of acting classes and workshops that are geared for actors of all ages and levels. We offer a unique education experience taught using a variety of methods, in an innovative space. This acting school in Los Angeles is comprised of leading coaches offering a variety of courses and workshops. We offer unparalleled opportunities and resources for international students interested in acting and performing.